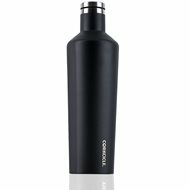 A Corkcicle Cooler is an everyday item that anyone can appreciate. They keep drinks cold for up to 25 hours or hot for up to 12 hours and have a non-sweat, non-slip, and easy grip side. Finding the right one is easy, with plenty of colors and styles to choose from. 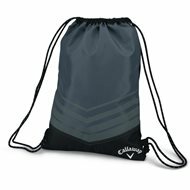 This Callaway Sport drawstring backpack is the perfect grab-and-go alternative to a zippered backpack. The large storage compartment, made from durable polyester fabric, fits shoes, towel, or other accessories with ease. SKLZ swing trainers are incredibly helpful for any golfer looking to improve their game. 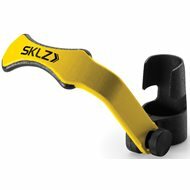 Use SKLZ trainers to improve hinge, grip, impact, and more. Golf balls make an ideal stocking stuffer. 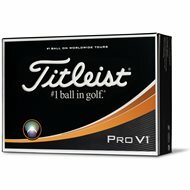 A popular choice are the Titleist ProV1 and ProV1x. These multi-layer golf balls offer exceptional performance for all levels of golfer. A golf towel is a must-have accessory for any golf bag. 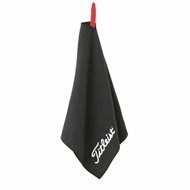 The Titleist Waffle Microfiber Towel has a waffle weave pattern that cleans your clubs without scratching them. It's also large enough to keep one side dry and one side wet. Zero Friction's Motion Fit golf glove is a one-size-fits-all glove made with premium Cabretta leather and lycra. The leather gives solid grip in all weather conditions. The Lycra wraps the hand in comfort, stretching and letting the hand breathe. The glove also comes with a handy detatchable tee and ball marker. No one likes having their phone or rangefinder banging around in the cart's cup holder as they drive. This Range Gripper RG1 solves that problem. 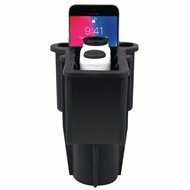 It fits easily into a cart cupholder, protecting your valuable electronics. 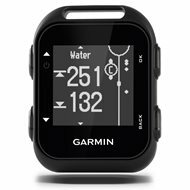 Speaking of rangefinders, the Garmin Approach G10 GPS is a compact, easy-to-use device. It accuratley gives you distances to the front, middle, and back of the green as well as hazards and layups. The built-in digital scorecard tracks your stats at over 40,000 pre-loaded courses world wide. For the range junkie on your list that wants swing stats at a reasonable price, consider this Voice Caddie SC200 Swing Caddie portable launch monitor. Set the Swing Caddie up behind the ball on the range and it will voice carry distance and the 4" LCD display shows swing speed, ball speed and more. A remote control makes it easy to switch between clubs and various modes. Stuff their stocking with this device that will have them practicing with a purpose. Size doesn't matter when it comes to finding a great gift. Whether you stash one of these in a stocking or just keep it tucked away for yourself, it's often the little things that are the most appreciated.